*Union Jack - I Say Ding Dong Shop - Buy Stickers, Decals & Unique Automobilia. 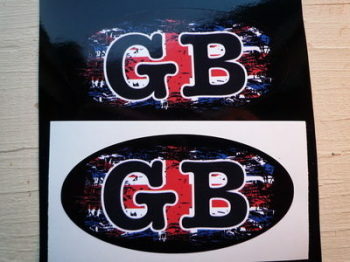 British Bulldog & Union Jack Black & Clear Stickers. 3", 4" or 6" Pair. British Bulldog & Union Jack Black & White Stickers. 4" Pair. 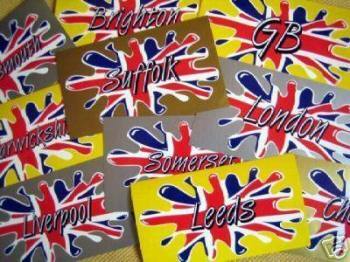 British Bulldog & Union Jack Colour Stickers. 2", 3", 4" or 6" Pair. 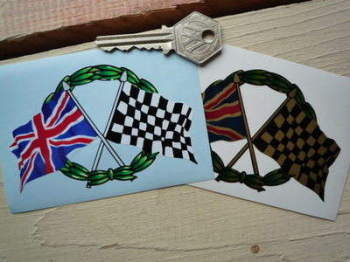 British Bulldog & Union Jack Self Adhesive Bike/Car Badges 3" Pair. 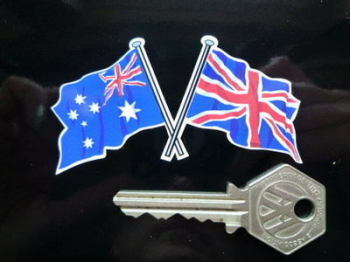 Crossed Australian & Union Jack Flag Sticker. 3". Crossed Black Country Flag & Union Jack Sticker. 4". 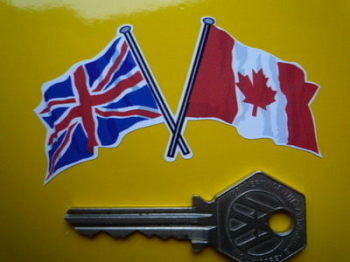 Crossed Canadian & Union Jack Flag Sticker. 3". 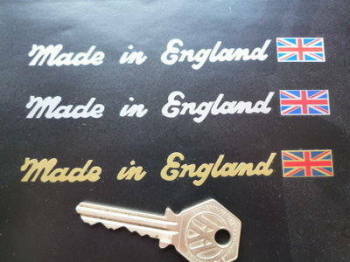 Crossed Chequered & Union Jack Wavy Flags on Beige Sticker. 4". 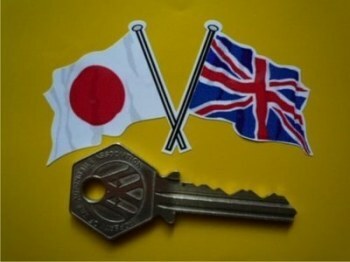 Crossed Japanese Hinomaru & Union Jack Flags Sticker. 3". Crossed Nepalese & Union Jack Flag Sticker. 3" or 4". 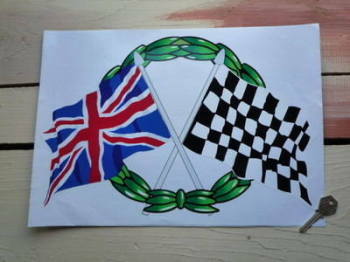 Crossed Union Jack & Chequered Flag with Garland Sticker. 15". 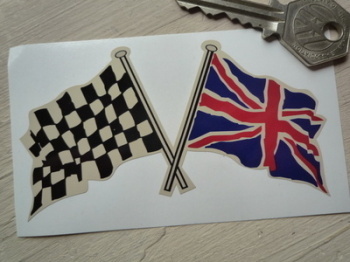 Crossed Union Jack & Chequered Flag with Garland Sticker. 2.5". Crossed Union Jack & Chequered Flag with Garland Sticker. 4". Crossed Union Jack & England St Georges Cross Flag Sticker. 4". Crossed Union Jack & Italian Oblong Flag Sticker. 4". Crossed Union Jack & Italian Wavy Flag Sticker. 4". Crossed Union Jack & Scottish Saltire Flag Sticker. 4". 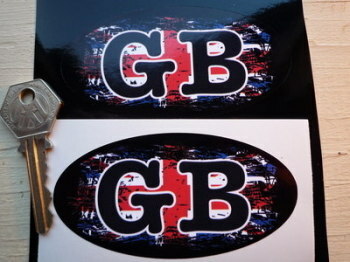 GB Fade To Black Union Jack ID Plate Sticker. 4" or 6". 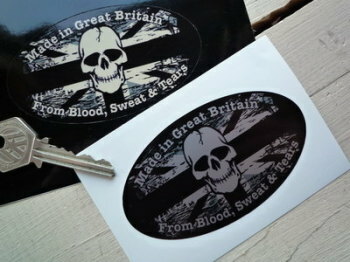 GB Fade To Black Union Jack ID Plate Stickers. 3" Pair. 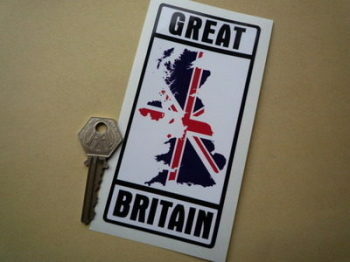 Great Britain Union Jack Map Sticker. 2.5" x 5.5". 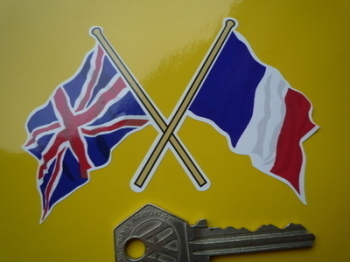 Great Britain Volkswagen Beetle Travel Sticker. 3.5"
Great Britain Volkswagen CAMPERVAN Travel Sticker. 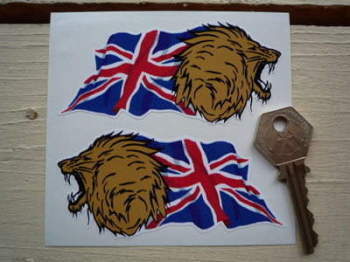 3 x 3.5"
Growling Lion Head Union Jack Stickers. 4" Pair. 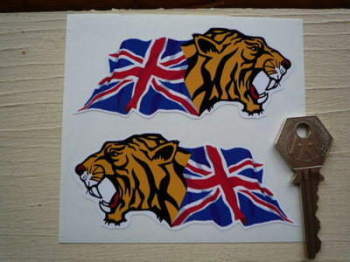 Growling Tiger Head Union Jack Stickers. 4" Pair. 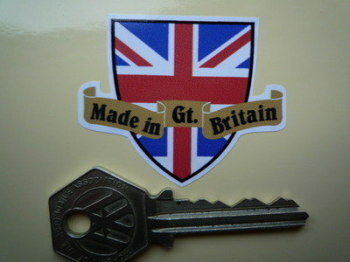 Made in Great Britain Shield & Scroll Sticker. 2". 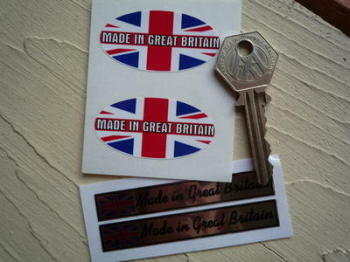 Made in Great Britain Stickers. Set of 4. 2" & 3". Pin-Up Girl in Tyre with Union Jack Flag Sticker. 5". Redhead Girl Standing in Union Jack Bodysuit Sticker. 4", 6", or 8".